Stable electricity supply in Africa’s economic powerhouses will be critical for the continent’s growth and development. That was the message from the president of the African Development Bank, Akinwumi Adesina, who was speaking on the sidelines of an investment forum in New York. Adesina also told a group of investors and business stakeholders that Africa would be driving global growth in the future and that it was time for the United States to pick up the pace to better compete with China’s posture towards the continent. He spoke about his economic vision for Africa. While referring to himself as an eternal optimist over the continent’s prospects, he expressed some concern about the region’s two largest economies, Nigeria and South Africa. Adesina referred to the two African countries as critical powerhouses. “These are the two critical powerhouses. I think what needs to change for us to be able to play on the power of both countries … structural changes in the economy. In the case of SA, we’ve got to make sure that we continue to support the government to have access to stable electricity because actually that’s going to affect industrial output. “Secondly, it’s the structure of the economy, making sure that the economy is done in such a way that industrial capacity also is complimented with massive agricultural transformation that can allow people to have a lot of jobs. Third, a lot more in terms of skills. Sometimes there are jobs in SA, but they can’t hire people because they don’t have the right skills. So, skills become very, very important,” Adesina explains. South Africa grew at just 0.8% in 2018 while Nigeria’s economy expanded at 1.9% – well below what either country requires to tackle stubbornly high unemployment and servicing their debts among other needs tied in to growth. For its part, the bank is heavily invested in Eskom in 2018, providing a $720 million investment over two years. The bank also signed off on a loan facility of $1.34 billion towards Eskom’s capital expenditure programme in 2016, begging the question, why this level of confidence in the struggling power utility? “I just watched yesterday Tiger Woods play at the Masters and everybody ruled Tiger woods out. He won his 5th Masters. Life is not determined by the amount of challenges you have, life is determined by your determination to overcome them. So what we are investing in is the determination of SA, it’s the leadership in SA, it’s the forward-looking SA that is going to be able to address the structural challenges that it has. 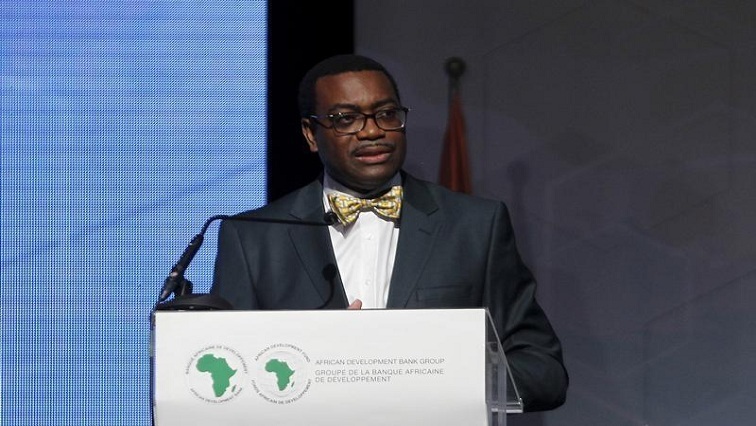 As President of the AfDB, I have faith in SA and I know SA will cross-correct on some of the things of things it needs to change,” Adesina said. On the wisdom of Eskom’s unbundling announced by President Cyril Ramaphosa during his state of the nation in February, Adesina says that is the government’s decision. Adesina also told investors here that there was a lot of scope for greater United States engagement particularly in energy and regional infrastructure connectivity that will provide the building blocks for the success of the African Continental Free Trade Area. The post Africa would be driving global growth in future: Adesina appeared first on SABC News – Breaking news, special reports, world, business, sport coverage of all South African current events. Africa's news leader..